Stephanie and I know that the best practices need more graphic examples. 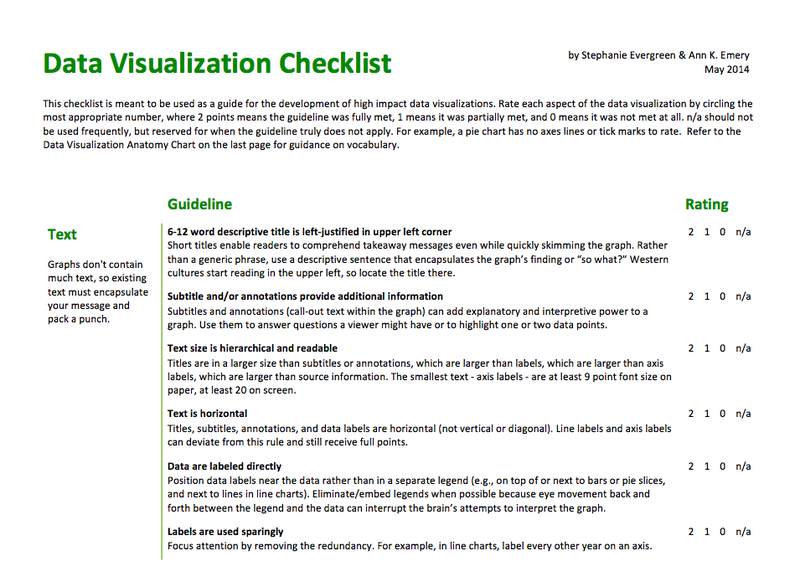 Over the next couple of months we will publish blog posts that depict each of these best practices and show the transition of a data visualization that scores no points to one that scores full points (so subscribe to both blogs! ).